Home a prize Surprised with H&M Turquoise Necklace! Surprised with H&M Turquoise Necklace! An unexpected mail came today and it was from Patrick Lovebird! I didn't know that I won from their giveaway, I didn't even receive an email asking for shipping details because it was already given during the giveaway proper. So when they picked me as the winner, they sent the prize to me right away and I was really surprised! 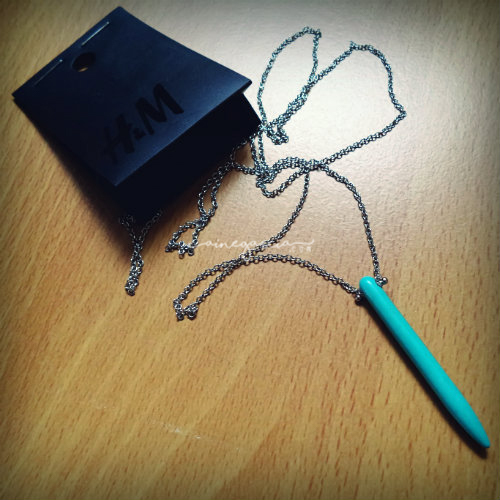 Thank you, Patrick Lovebird, for the H&M Turquoise Necklace!